It didn’t take long for people to become apoplectic in regards to Pope Francis’ addresses to Congress and the United Nations. Self-labeled conservatives took to the interwebs to claim the Pope is not really a Christian and/or is ignorant and cowardly on the real issues. Give them time and they’ll insist that him offering a blessing instead of condemnation is further proof he’s a fraud. Perhaps I shouldn’t be surprised, considering that what passes for conversation these days is nothing more than bullying on social media, and people’s attention spans have been reduced to that of a goldfish, but still I am. 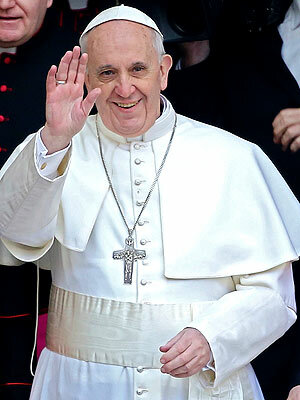 The general public can’t seem to grasp what the Pope is, in spite of his outfit, which really should give a clue. So, let me help everyone out: Pope Francis is a Catholic. Wholly, fully, completely. I know this concept of being wholly, fully, completely Catholic is hard to understand, what with your Nancy Pelosi Catholics and your John Boehner Catholics and all the rest of us sinners in between, but stick with me and I’ll explain. Someone who is wholly, fully, completely Catholic believes in a being a disciple of Jesus Christ through – this is the tricky part – the action of a relationship with Jesus Christ and other people. Not just a me-and-Jesus connection like some Christian denominations, and not just and me-and-people bond like others, but both Jesus and people. This comes directly from the Gospel in the form of Jesus’ answer to a question about the greatest commandment: Love God with all your heart and your neighbor as yourself. It is the ultimate pro-life message, and, frankly, not many of us are good at it. We’re flawed humans who tend to think of ourselves first and our neighbor second – or not at all. We pick our particular issue and gnaw it to the bone, but ignore (conveniently) other issues, insisting (selfishly) that our issue is the real issue. But Pope Francis has it down, something you can see by how he chooses to align himself with the poor and marginalized just like, you know, the guy Christians claim to follow. Everything Francis said in his White House and United Nations addresses fit right in with love of God and neighbor: The powerful have no right to take advantage of the weak because the weak are our neighbor. We do not have the right to kill each other – be it in the womb, on our streets, in war or in prison – because we are each others neighbor. We have no right to abuse, much less destroy, the environment because our neighbors, both now and in future generations, depend on the environment to life. We should fight greed that destroys one part of the world and its people’s because the people in that part of the world are our neighbors. You cannot have relationship with another person if you’re yelling at them all day long on your Twitter feed. Or if you’re demonizing them in a presidential race. Or bullying them in the halls of Congress or at the United Nations or over your backyard fence or at your dinner table. You can’t have a relationship with someone if you already think you know everything about them and know everything they think. And you sure as heck can’t have a relationship with them if you’re driving planes into their buildings or bombing their cities to smithereens or bulldozing their houses. These things do not make for peaceful co-existence. There’s plenty blame to go around, and the Pope knows it. His message isn’t that one country is all bad and others are all good. His message is that the world has gone crazy and the world’s leaders have been acting selfishly for two long. Get a grip, he’s saying. Look into each other’s eyes. Pay attention. Stop thinking just about yourself and think about the common good and a future for all. Exchange pictures of your grandchildren. We have a knee-jerk tendency to want people to fit into a neat little boxes we’ve constructed. We are more comfortable with people who look like us, talk like us, think like us, worship like us and live like us. Pope Francis doesn’t fit into a neat box. He’s 100 percent pro-life all the time. That means he’s against abortion and destruction of the environment and war and capital punishment and greed and nativist tendencies that talking heads stoke in an effort to feed fear. Francis is bigger than our boxes and frankly, better than us. He is challenging all of us – especially Catholic Christians – to get a grip and realize that all of us must learn to live together or none of us – including the children he so cares about every step along the way – will survive. It would be easier if life were uncomplicated, sacrifice-free and didn’t require us to think about what our actions might be doing to our neighbor on the other side of the globe, but that’s not the Pope. The Pope sees the big picture and that picture is of one big family on one small spinning planet. It would do us well – all of us – to heed his message and act on it.